Who needs a VPN? 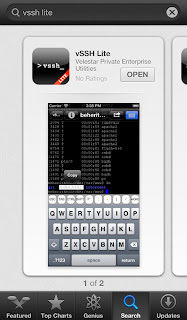 Access the web securely from your iPhone and iPad using shunnels - for free! One of the nice things about the iPhone and the iPad is their powerful web browser and great WiFi access. Now you can go to any two-bit coffee house, airport lounge, bus station or whatever and freely access your bank, your hospital, your private and intimate conversations, all broadcast openly without any encryption over the air. The problem is that it's quite easy to listen to these conversations. So, what can ordinary users do to protect themselves? The expensive (and complicated) route is to set up an iPhone VPN. Here's an alternative which is just as effective - and it's free! 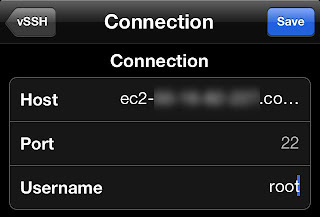 Essentially we'll be setting up an encrypted connection (an SSH tunnel, commonly called a "shunnel") between your iPhone and a computer in a secure location (specifically on the Amazon cloud). Your online activity will be encrypted and sent over the shunnel, so the only way to capture your conversations would be to hack into the remote server, which is much more difficult than listening to your unprotected WiFi connection. 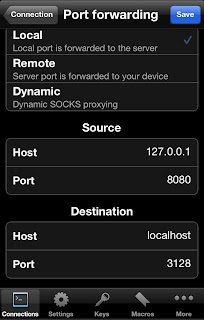 To do this, we'll set up a remote server, create a shunnel from the iPhone to this server and finally configure the iPhone's WiFi settings to use this shunnel. This guide was inspired by this guide by EBI and this guide by Chris Swan, but I tweaked it for the iPhone and simplified it as much as possible. 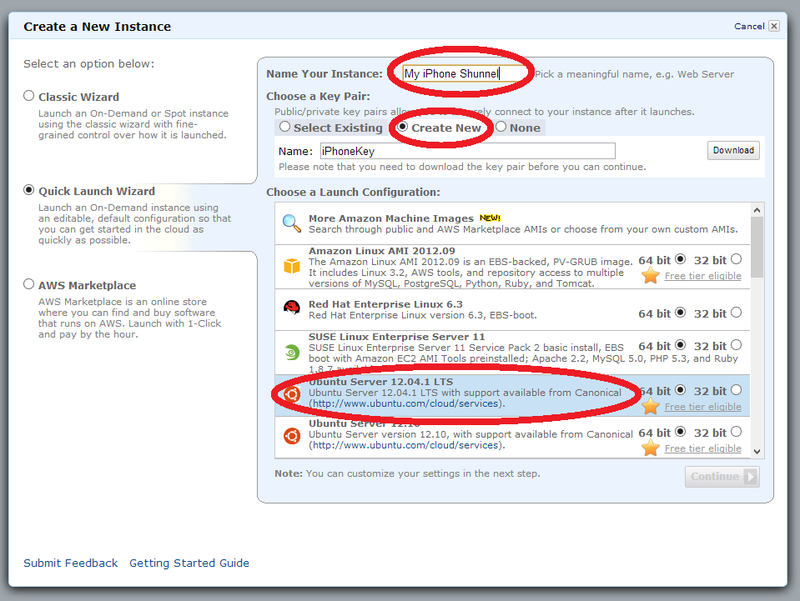 To do this, go to Amazon.com from your computer and sign up for the Amazon Web Services "Free Tier" - it's free for one year. Next, connect to the Amazon Console and launch a new Ubuntu Server instance. 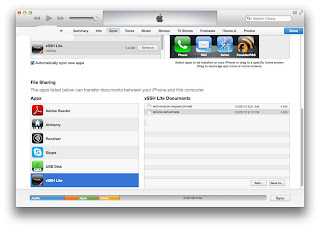 Give it a nice name and make sure you configure it to create a new encryption key. 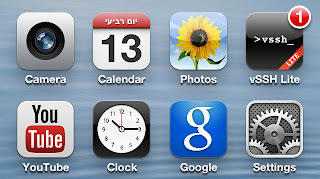 Download the key - you'll need it later to connect with your iPhone. 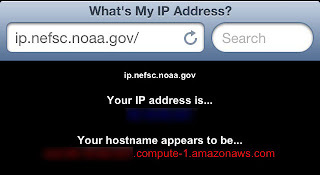 After the instance starts (it takes a few seconds), click on it in the console and write down its public address. OK, the scary part is finished! 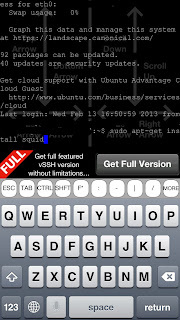 Once vSSH is installed, you need to connect your iPhone to your computer and copy the key you downloaded from Amazon into vSSH. 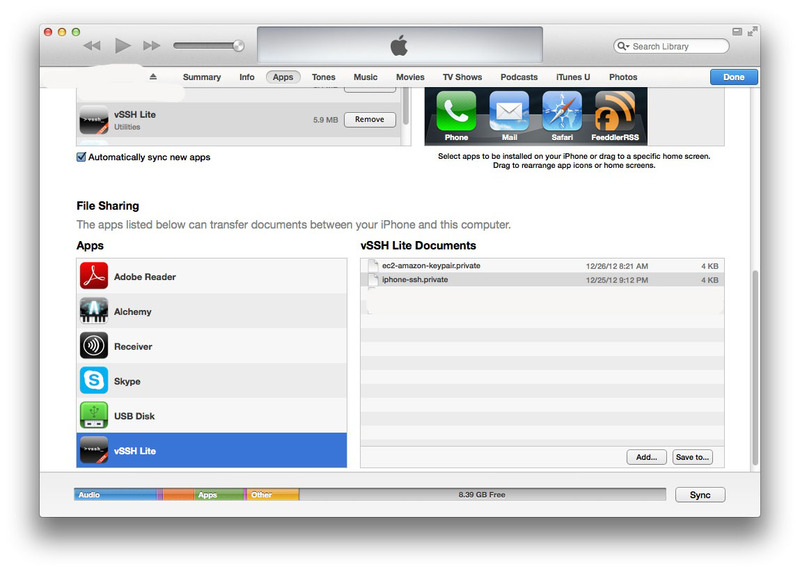 First, find the key file you downloaded from Amazon on your computer and rename it to "iPhoneKey.private". 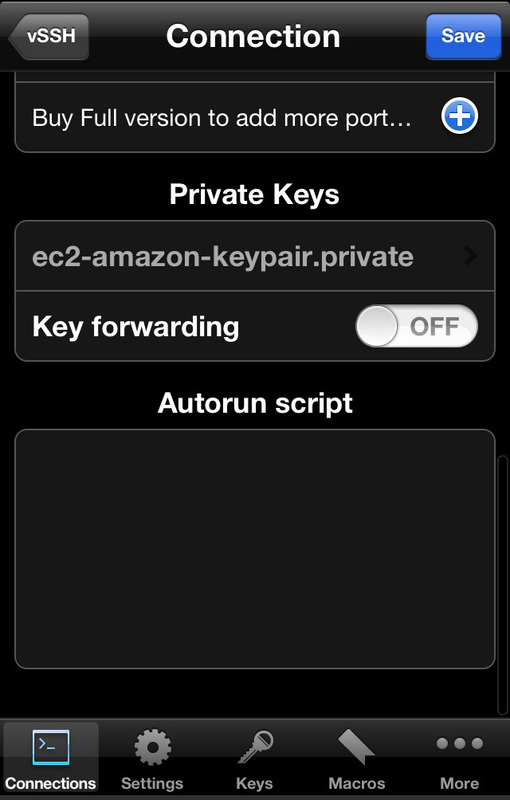 Typing this command will set up a web proxy on the Amazon cloud server. Now the shunnel is ready for use whenever you're in an insecure location. Start vSSH, connect to the shunnel, and press the home (square) button. vSSH will stay running in the background - you'll see a little badge to remind you. That's it - now you can browse the web safely and securely! 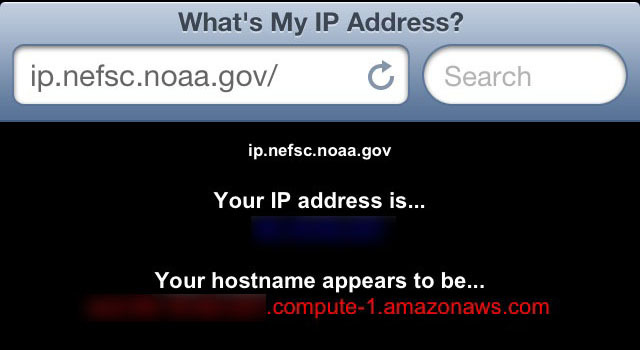 If you want to make sure the shunnel works, open Safari and go to the URL ip.nefsc.noaa.gov (there are other sites which do this with names which are easier to remember, but I trust the U.S. National Observatory better than I trust them). If you get an Amazon address it means everything worked! Success! We're browsing through the shunnel! There's a bandwidth cap - AWS starts costing you money if you create more than 15GB of traffic per month. So don't. It stops being free after one year - and it's linked to your credit card. After a year you can either start paying or ask a friend or spouse to help you out. You have to click on vSSH once every 15 minutes - that's how the iPhone keeps background applications from eating up your battery. Give your server a nicer name - you can use free DNS services such as dot.tk or OpenDNS to give your server an easier-to-remember name such as bobs-shunnel.tk instead of the long, cryptic address. 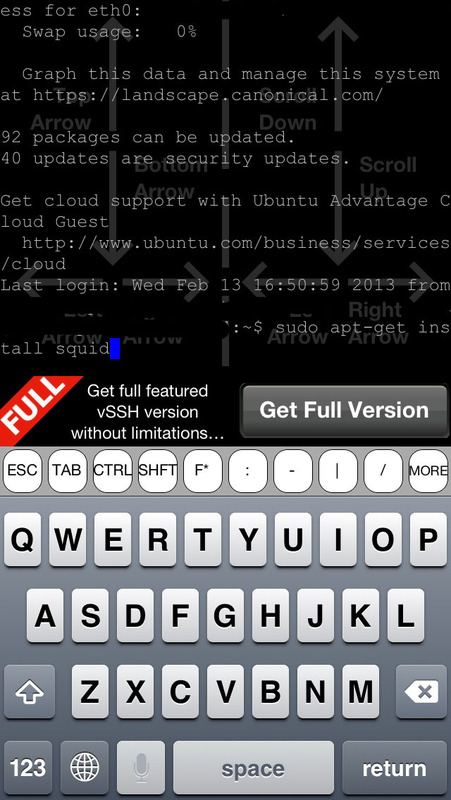 Use a jailbroken ssh client instead of vSSH - if your phone is jailbroken you can use an alternative ssh client which can stay forever in the background without nagging you every 15 minutes. I don't know which jailbroken ssh client is the best - perhaps somebody can suggest one in the comments. 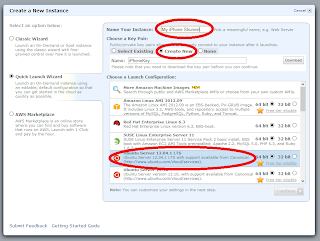 Use a more restricted "guest" user on the Amazon server instead of the almighty "root" - this involves running the "adduser" script on the server and copying ~root/.ssh/authorized_keys to ~guest/.ssh/authorized_keys. 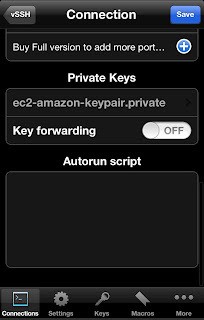 Use the shunnel on your computer - you can import the Amazon private key into the PC version of PuTTY to get the same privacy advantage. 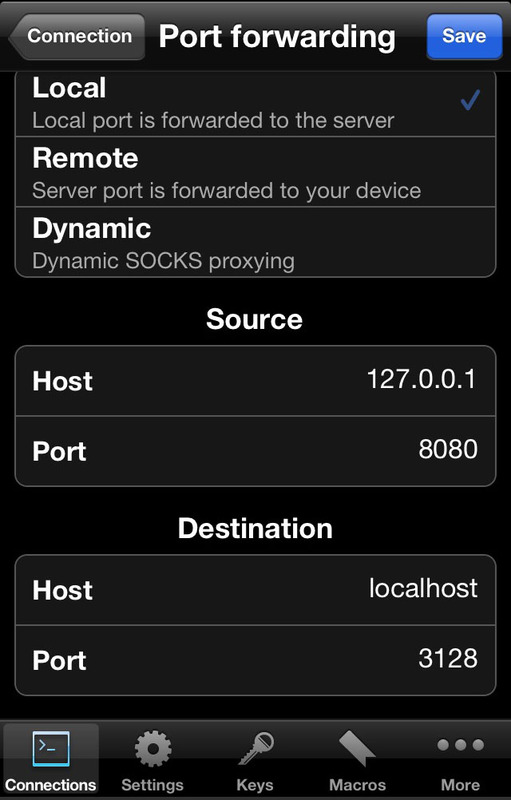 You might prefer to use a dynamic SOCKS proxy instead of local port forwarding.